October 9, 2014 November 20, 2014 dunsmuirdepotLeave a Comment on Last chance to see the museum & display room before they close for Winter! Last chance to see the museum & display room before they close for Winter! …on October 11th at 11 AM. Commemorative plaques will be placed at each tree. Please join Rita’s and Tony’s families for the dedication. A Starlight Dogwood tree honors Rita’s 2002-2013 tenure as Depot President. She and others began an effort to save the Dunsmuir Amtrak Depot. Her dedication to the Depot and to Dunsmuir is well-known. Tony’s Pink Flowering Dogwood tree honors his long commitment to the Depot Society, the re-opening of the Dunsmuir Museum, and his 2013-2014 tenure as Depot President. Tony could be found at the Depot welcoming visitors on any given day, and it was his joy. Thank you to the Dunsmuir Public Works crew for their help. 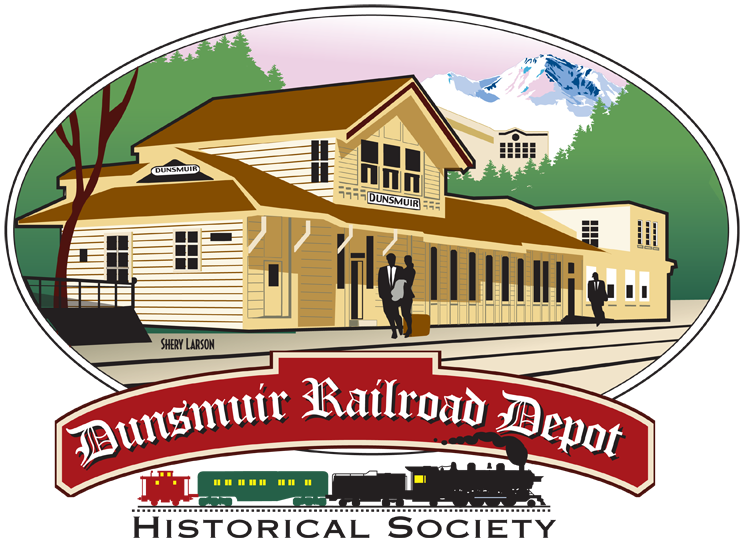 The Dunsmuir Museum will also be open on October 11th for the Dunsmuir Art Walk. Member Joseph Vella’s art work will be on display in the Museum. Of special interest will be his #1727 Locomotive mural on the Museum building. Refreshments will be served. The Museum and Railroad Display Room will close at the end of the day for the winter months. They will re-open April 2015!